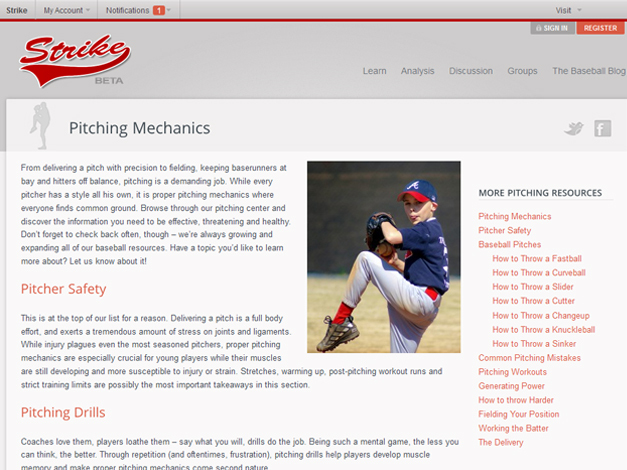 Strike is an online baseball community for young players, instructors, coaches and parents. 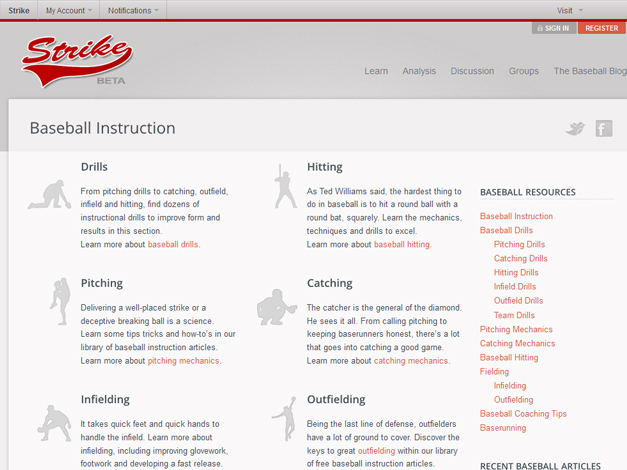 With nearly 200 instructional articles and dozens of high quality videos on their way, players can get free tips and advice from professionals rather than typical $1/minute training facilities. 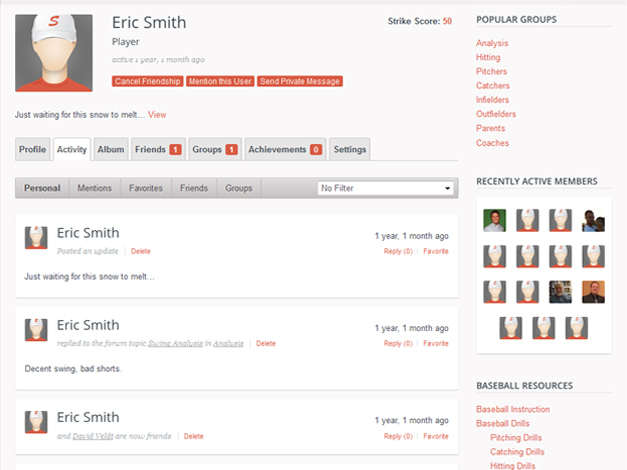 Meanwhile, coaches can set up team pages as a place to connect with players and parents off the field; posting rosters, schedules and announcements. Users can participate in any of the numerous groups, learn, contribute and connect. David Veldt is a digital marketing consultant specializing in building online businesses and growing brands. He writes on a variety of topics within SEO, PPC and analytics, as well as the occasional ode to baseball.